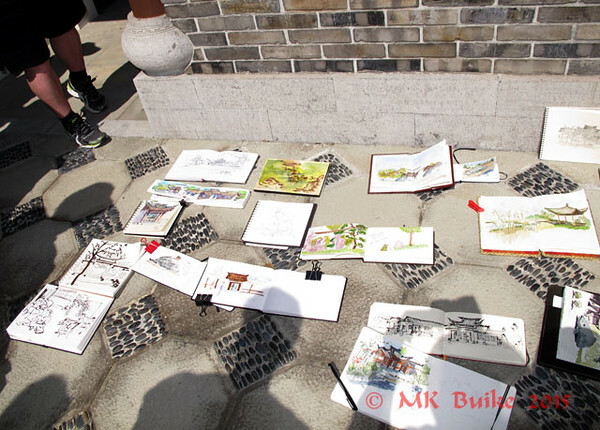 Urban Sketchers Seattle were graced with a perfect spring day to enjoy the Chinese Garden. 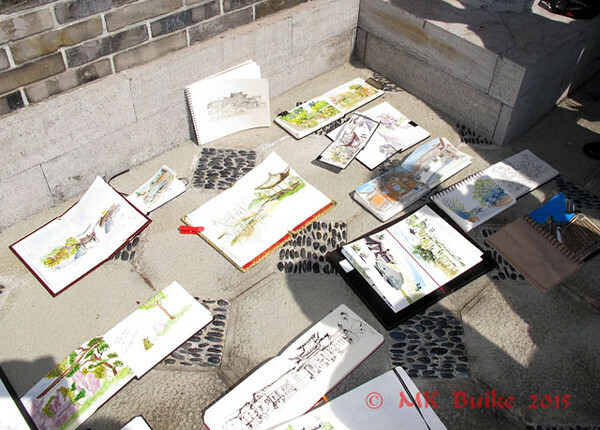 I was looking forward to this sketch outing as I knew the weather would be good and I had never been to this garden. It did not disappoint. I arrived a bit early and simply stopped at the first view. 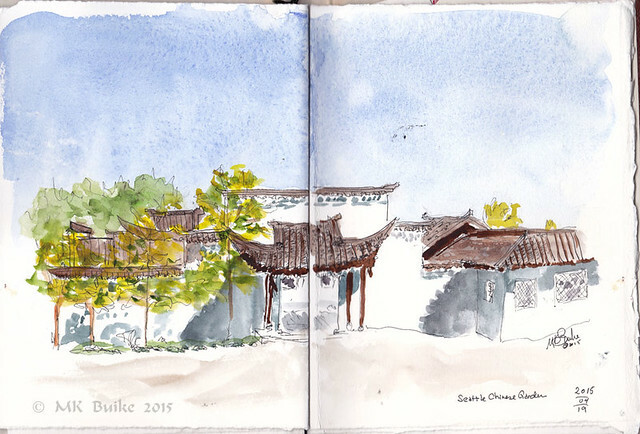 After finishing this first sketch, I wandered around, enjoying the garden and looking for a second scene to sketch. The huge carp sculpture was, perhaps, my second favorite place in the garden! 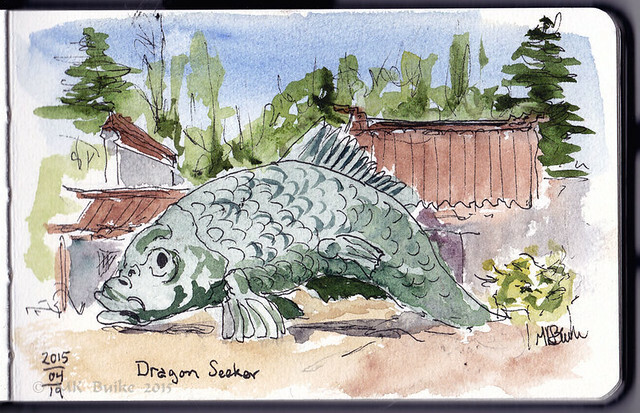 A carp becomes a dragon.... this is the "Dragon Seeker" sculpture. According to traditional Chinese tale, a carp that could leap the high falls of the Yellow River at Dragon Gate (near Longmen, Zhejiang) would be transformed into a dragon. This Dragon Seeker was made in Thailand over 100 years ago. More recently, a Seattle couple had it in their garding in Kuala Lumpur. 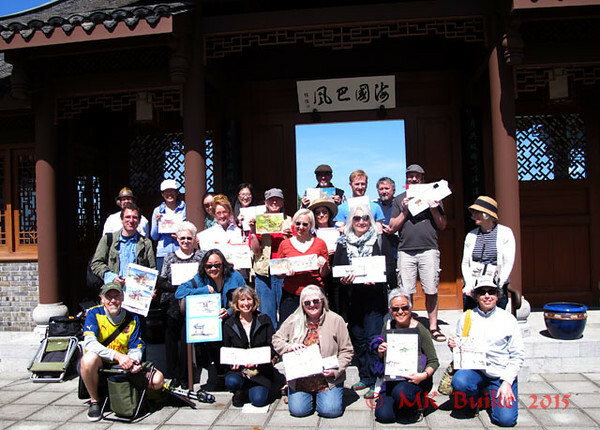 When they returned to Seattle, they donated him to the Chinese Garden. As I was lingering in the Knowing the Spring Courtyard, I started to hear music. 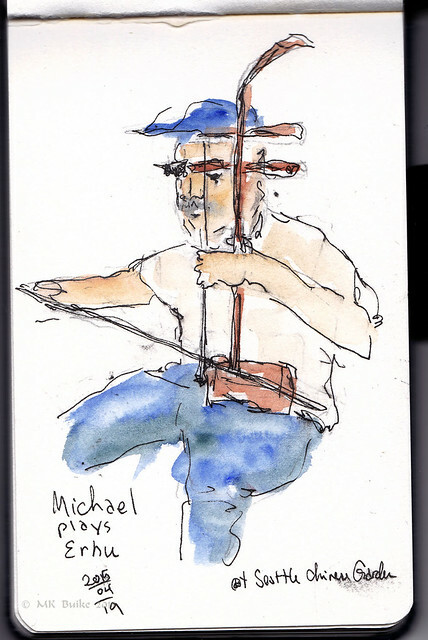 I gravitated in its direction and found Michael playing the traditional Erhu. Such beautiful music was a perfect end to a perfect sketch outing in this lovely Garden! He allowed me to make a couple photos. I also did a very fast sketch.